When it comes to people, the term "interesting" is pretty difficult to define. You probably would want to take a look at their personality, what they accomplished in their lifetime, examine their life story to see if there are things that standout, understand if they were they an inventor/trendsetter and, finally, take a look at their legacy. The amazing thing about Colonel E.H. Taylor is, he hits upon all of those. Everything about Colonel Taylor was larger than life... from how he dressed, to what he achieved personally and professionally to what his legacy is today. He was a man of deep character and principles. He possessed a genius level IQ an ego to match. His career is amazing and includes success in banking and politics along with his achievements in the world of distilling. He was at the top of his game owning OFC Distillery (now Buffalo Trace) after his career in banking only to run into financial troubles as his company grew too large too fast and he found himself strapped for cash. Ultimately, he would lose his company and his dignity for a bit, before he got back up, dusted himself off, and started all over again. The Colonel was doing this in the late 1800s and early 1900s that may seem commonplace today but were unheard of at the time. Some of his innovations included distillery tours, samples of products, events at the distillery and merchandising. What also seals Colonel Taylor's legacy in the bourbon world is the work he did to clean up the industry. At the time, legitimate businesses like his distillery were struggling against what was known as "rectifiers." The rectifiers were individuals purchasing bourbon from distilleries and selling it. This could be a legitimate business and something we still see today (sourced bourbon branded by those purchasing it). More often than not, though, the rectifiers were buying young whiskey and doing things to make it look and taste older than it was. It wasn't uncommon to add something like prune juice or such abominations as rusty nails or tobacco juice to give it the look of older whiskey. Taylor pushed for the regulations that would become known as the Bottled-in-Bond Act of 1897. These regulations added standards to the production of whiskey as well as a means of enforcement for weeding out those providing unsafe product to consumers. 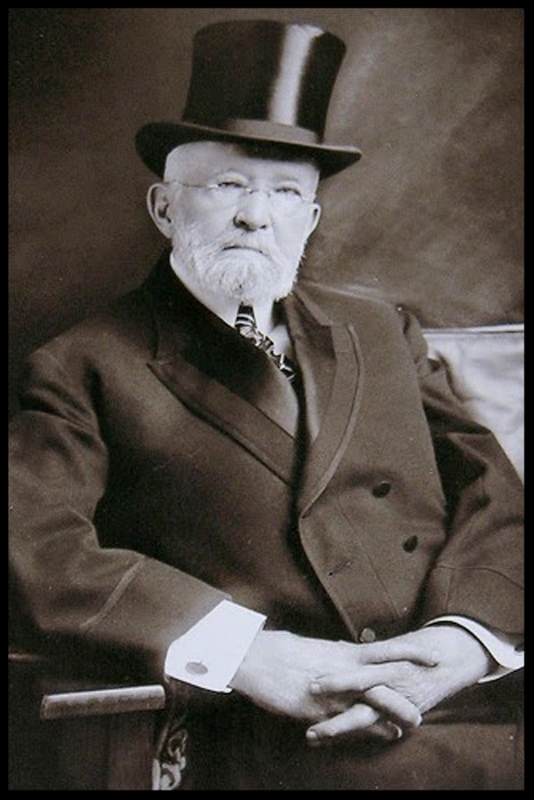 Due to his work to bring safety and consistency to the industry, today Colonel Taylor is often referred to as the "Father of modern day bourbon." In the latest episode of our new show Bourbon History, Renee Howe and I spoke to Marianne Barnes, the Master Distiller at Castle and Key as well as Brett Connors a bourbon historian who works there as well. We spoke to them about Colonel Taylor and found out about his life, his accomplishments and his legacy. It's really an insightful interview.